“Welcome Home” is the greeting heard upon arrival at a Disney Vacation Club (DVC) property. E komo mai, is what you hear at Aulani, Disney Vacation Club Villas in Hawaii. Meaning, “come in, welcome,” Aulani Resort embraces families with Hawaiian culture. Aulani opened as the 11th DVC resort in 2011, and was Disney’s first hotel off the mainland U.S. not associated with a theme park. Disney Vacation Club hosted our family at Aulani Resort to check out a DVC Villa. So, aloha to all, and continue reading for our impressions of Aulani, Disney Vacation Club Villas. Aulani means “a messenger of a chief or greater authority,” and, in this case, that “greater authority” is Hawaii itself. With Aulani Resort, Disney Vacation Club wanted to respect the stories, cultures, and traditions of Hawaii, and use the resort as the conduit for that Hawaiian spirit. Disney gathered a group of Hawaiian cultural advisors, experts, artists, and spiritual leaders to capture the story of the islands, and channel it through all aspects of Aulani Resort. When our family arrived at Aulani Resort, we were greeted with fragrant floral leis for the women and a kukui nut necklace for myself, the dad. Gazing up, a mural wrapped the lobby with scenes and stories from Hawaiian history and culture. Our room featured Hawaiian details such as the taro root, sailing canoe, and traditional woods connected with butterfly joints. The hotel itself literally surrounds you with 15 story tall sculptures on the exterior depicting traditional Polynesian legends and stories including the goddess Hina on one tower and her son, the demi-god Maui, lassoing the sun on the opposite. Each morning at 7:00 am an aloha chant rang out through the resort to start the day. Yes, you get the full Hawaiian immersion experience at Aulani. That being said, the “V” in DVC stands for Vacation, and our family was in desperate need of one. After a long day of travel to Hawaii, we settled into our 1-bedroom villa – or should I say “hale” (home) – and started planning our activities. Our first day was all about the water, the beach and pool was just what we needed to get this vacation started. Aulani Resort shares a private beach with the Four Seasons Resort O’ahu at Ko Olina (we barely saw anyone from Four Seasons on the beach). Plenty of beach chairs and umbrellas are available around the protected lagoon, and a paved trail makes its way out to a point for strolls along the ocean. Boogie boards and sand toys (as well as life jackets) are complimentary and can be picked up at the Makiki Joe’s beach equipment cabana. We set up for the day on lounge chairs just behind Little ‘Opihi’s beachside kiosk overlooking the beach and Pacific Ocean. It was a perfect spot with easy access to both the beach and pool and Dole whips. The Waikolohe Valley swimming area is immense, and you are sure to find a spot that suits you and your family’s taste. The Valley contains multiple pools and hot tubs (including adult-only options), a lazy river, splash grounds, and water slides. In the afternoon, Disney characters dance around in the Shake-A-Shaka Pool Party. The youth entertainment staff lead kids in games and activities loosely themed around Hawaiian surf culture. There’s even a salt-water lagoon where you can snorkel with fish (for an additional charge). Evenings for us at Aulani Resort were all about the dining, and we toured all the different restaurant offerings including Ka Wa’a luau, Menehune Mischief character dinner, and a fine dining experience at ‘Ama ‘Ama. The luau started at 5:00 pm on the lawn behind Aulani Resort. We enjoyed the pre-show activities, especially learning how to make poi (not as bad as expected) and how to play a ukulele (much easier than expected). Moana graced the stage to welcome us to the festivities, and, most importantly, announce the dinner buffet was open. Our daughter was first in line to the feast featuring traditional Hawaiian staples including poi, teriyaki chicken, and a whole roasted suckling pig. Ka Wa’a or “the canoe” continued the cultural tradition of Aulani, and shared stories and dances of Hawaii and O’ahu’s ‘Ewa plains surrounding the resort, as well as legends of the demigod Maui (the mention of Maui’s name elicited cheers from kids in the crowd – you’re welcome). We enjoyed the luau, especially learning more about the history and culture of the native Hawaiians. We spent another evening with Aulani Resort’s “Uncle” telling tales of the Menehune – mystical, mischievous little people during a character meal with Donald Duck, Pluto, Chip and Dale. We were pleasantly surprised by the freshness and quality of food, especially the seafood, on the Makahiki buffet. There was poke, crab claws and legs, mussels, prime rib, pastas, and salads as well as a bevy of desserts. The atmosphere around the characters was not so raucous as we’ve found at the theme parks, and the animated animals circulated around the tables and participated in Uncle’s stories. Our final evening we celebrated our 23rd wedding anniversary (a week early) at ‘Ama ‘Ama, the fine dining restaurant overlooking the ocean. We toasted each other over steak and seafood as we watched the sky change color as the sun dipped below the horizon. All and all, Hawaii was a wonderful destination for a family vacation, with excellent beaches and a beautiful landscape. The history, culture, and language of Hawaii make it feel like another country, all without needing a passport. The Aulani, Disney Vacation Club Villas made for a great home base for an O’ahu vacation. It was not as crowded as Waikiki Beach, and offered plenty of opportunities to learn about this rich culture. As a DVC resort, Aulani has everything you would expect. Rooms with a full-sized kitchen and plenty of space for families to spread out. Aulani Resort has a pristine beach, great pool with fun (and surprisingly fast) slides, an interactive kids club, restaurants, and entertainment. Plus, without too much effort, you can venture out to other parts of the island be it Waikiki, Pearl Harbor, the North Shore, or eastern side of O’ahu. 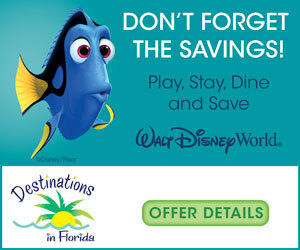 Disney Vacation Club is a timeshare program with lots of flexibility. Every Disney Vacation Club resort has rich, detailed themes and Aulani Resort is no different. Aulani Resort may be a Disney Vacation Club property, but it’s less about the Disney characters than it is about Hawaii, and that’s just the type of embrace our family wanted for this vacation. This trip was one of a series, sponsored by Disney, where Dads visited various Disney Vacation Club properties all across the country. Click here to meet all the DVC Dads and find out where everyone headed. DISCLOSURE: Disney hosted our family on this trip to Aulani Resort including airfare to Hawaii, a room, and some meals & experiences. However, all opinions are those of the author. For more family travel news, reviews, and trip reports, be sure to follow Adventures by Daddy on instagram, twitter and “like” our facebook page too.